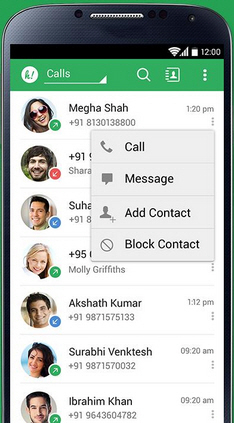 Nimbuzz has launched a new caller identification app Holaa for android smartphones. Caller ID with their name, photograph, location and email ID. Synchronize your Facebook & Google accounts with your phonebook. Activity Analyser to Keeps you informed on the duration for which you have spoken to a particular contact.